The world is overflowing with autonomous cars. That's great because the competition will ultimately benefit everyone. The typical self-driving demo (while generally impressive), usually requires reporters to sit in the passenger seat with a safety engineer behind the wheel. BMW, on the other hand, put me behind the wheel and let its prototype 5 Series tell me all about Las Vegas while barreling down the freeway. 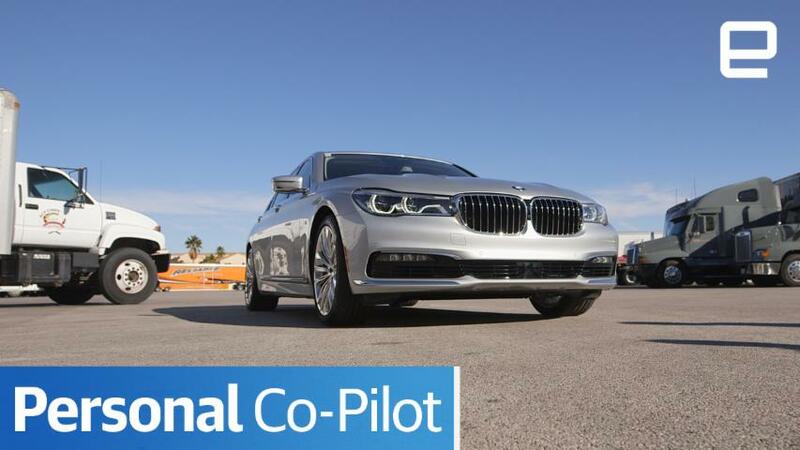 The BMW Personal Co-Pilot prototype 5 Series gives us a peek at how the automaker plans to refine the interior of its autonomous vehicles. Earlier in the week the company showed off its i Inside Future sculpture/concept that demonstrated how BMW drivers would spend time in their cars in the autonomous age. All I can say is: It's a glorious future full of leisure time and giant screens playing our favorite movies. But before we get to start chilling in our cars reading Breakfast of Champions or watching Bob's Burgers, I was able to get behind the wheel of the prototype 5 Series at CES and take it for a spin through Las Vegas. Once I navigated the city streets in manual mode and merged onto the freeway, I pressed a blue button that set the car to autonomous mode. Then I took my hands off the wheel. 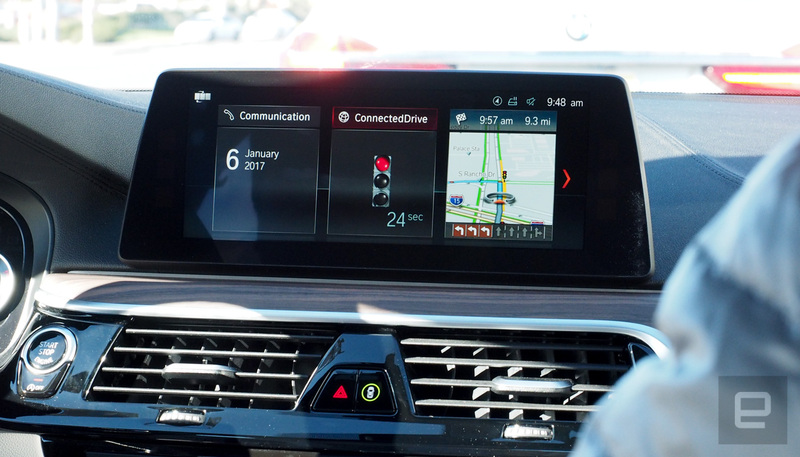 While the car mostly drove itself (it tracked a Series 7 during the drive and the company called it an "approximation of autonomous driving"), I filled my new found "free time" trying out BMW's Connected Experience infotainment options. The company had Las Vegas landmarks geotagged along the route and I used the car's gesture features to find out more anytime one popped up on the screen. I could read the entry about Caesar's Palace, or learn about the metal animal sculptures along the freeway, or even have the car read the passage to me. 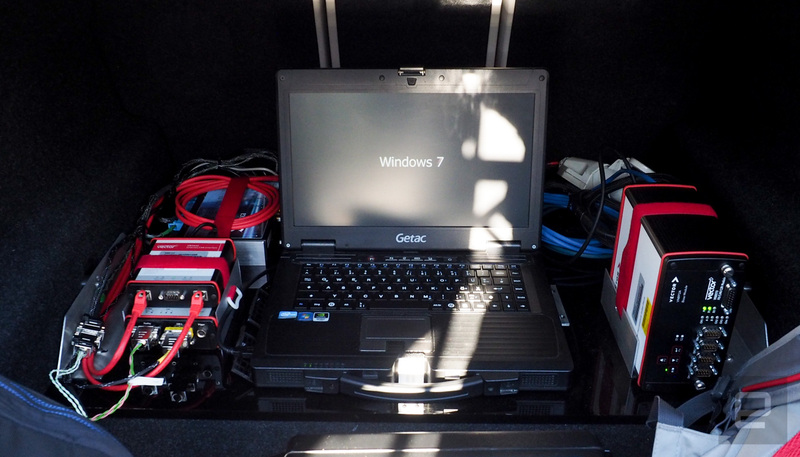 The car was also outfitted with Microsoft's digital assistant Cortana. All I had to do was ask about nearby restaurants and Cortana found a gap in my busy CES schedule and recommended places to eat with availability for two, at 8PM. I picked a restaurant and Cortana went ahead and made a reservation for me. If I had done this on my own, I would have had to load my calendar to see when I was available, then launch Yelp or OpenTable to find a restaurant -- something you could never do when driving (please don't try). Like autonomous driving, these types of features are still years away. But it's good to see that when we are finally able to safely ignore the road, we'll not only be able to take care of things like email and restaurant reservations, but we'll also learn a little more about the monuments and points of interest along the road.